Hey, have you heard about the AI security cameras? I have, from my colleague Chris, an AI passionate engineer, long ago when the concept of AI security camera was first introduced and stepped into thousands of people’s homes. To be honest, I am really fascinated by the idea of AI security cameras as I heard and learned more about the AI technology, and so here I am, eager to share the information with you about how the AI security camera works and improves our home security. Now let’s dive right into all the myths and hype about the AI security cameras! The biggest selling point and most amazing thing for AI security cameras is that they can tell the differences among natural elements, pets, and humans. 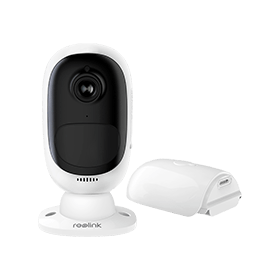 And therefore, you will only be alerted when a real intruder breaks in – No bothering from the tree sheds or lights as the traditional security camera might bring, even though some quality cameras, like Reolink Argus 2, have reduced the false alarms greatly by using the PIR motion sensor. Another bonus of AI security cameras you will love for home security is probably the facial recognition function, which means the camera will know the new faces and the familiar ones. So you can schedule to be alerted only when the unfamiliar faces show up. More than that, the AI security cameras can remember the conspicuous person, for example the one that breaks into your house, and identify the face immediately once he/she shows up again in the future. There are already AI IP cameras reported to be able to allow security officials to track students based on their appearance. And with this AI surveillance camera, a guard could pull up video of everywhere else a student has been recorded on campus. Some artificial intelligence security cameras can collect data and analyzes a scene to determine what’s normal for a particular situation. If the AI IP cameras capture an abnormal event, the system will send an immediate alert to a user’s preferred notification method, saving a lot of time in reviewing large amounts of footage. And some more advanced AI security cameras can even identify certain movements, like moving the specific objects from one place to another. And this is really helpful for business surveillance, like retail stores, to catch the shoplifters who usually take the small items into their pockets. For the first time ever, the AI security cameras make it possible to track and analyze the moving objects. For example, if a new face breaks into your home, the AI security camera system will optically zoom in and analyze the target automatically, and take a clear shot of picture or record a video of the conspicuous person, so you won’t miss anyone that sneaks around your property. The AI security cameras can not only understand what it sees but also what it hears, and take orders from you, kind of like the Google Alexa. That’s to say, you can just speak directly to the AI security camera and tell it what you are looking for, something like when your little son came back home from school yesterday. It saves your time and trouble in finding the clips among large recording files. How could the AI security cameras be so intelligent to understand what’s happening out there and alert us when real danger happens? Actually, that’s all about the built-in sensor and hardware. The AI security cameras can produce an updating 3D model of its monitoring areas. So only 3D movement like the human and animals can trigger an alert of the AI surveillance cameras. 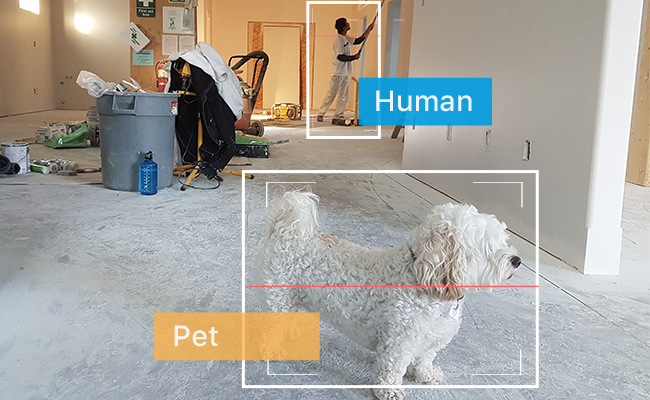 Together with the deep machine learning, the AI security cameras can recognize the adults, children, pets and unfamiliar faces over time, and alerts you only when real danger or the specific event occurs. To identify certain movements, the AI security cameras have some preset suspicious behaviors, like picking up an item and putting it to the pocket. Generally, it will match the pose data to those predefined movements and trigger an alert intelligently when something noteworthy is detected. If you have searched the AI cameras around, you might find that there are not many choices today. And they are priced much higher than the traditional cameras, with a price tag of $300 to over $1000. More than that, most AI security cameras will involve subscription fees for video storage, which will cost you extra $10 (or more) monthly, and this could be a huge expense in the long run. So should you invest in an AI security camera? Admittedly, the AI security cameras will become a commonplace for home security in the future, taking the relatively high cost and potential issues of AI security cameras into consideration, it’s not that sensible to get the AI security camera system, at least for now. There are still many common concerns for AI security cameras, including the privacy and accuracy. The AI security cameras are still not intelligent enough to make the right judgement every time, and could oftentimes get it wrong with similar gestures. While we wait for the best AI security cameras to become more reliable for home use, a smart home security camera might be a better option, a smart home security camera might be a better option. Actually, the traditional smart home security cameras can already well cover security needs for home, like watching the real-time video feed anywhere, recording videos when motion is detected day and night, sending push notifications to your phone if anything happens, and more smart features like two-way audio. If you are not locked to the AI security camera’s world, there will be more options today to suit your various monitoring needs, like the wire-free camera for easy installation and the 4G camera for video surveillance without Internet. So what do you think about the AI security camera? Would you use AI for home security camera? Share your thoughts with us in the comment area down below! This entry was posted in Buyer's Guide and tagged ai security cameras.